Leyton Orient kept themselves in the chase for the National League title but left it very late at home to FC Halifax Town, Matt Harrold’s 94th minute equaliser earning what could turn out to be a vital point for the O’s in a 2-2 draw. 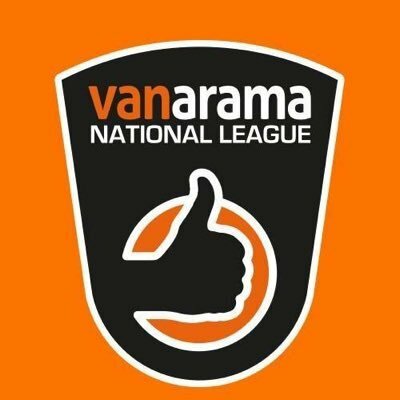 The Yorkshire side had taken a shock 2-0 lead in the first half through Manny Duku and Devante Rodney, before Josh Koroma pulled one back for Justin Edinburgh’s side on the stroke of half time and Harrold levelled deep into injury time at the end of the match, much to the delight of most of the 5,458 crowd. This result left Orient in second place, one point behind leaders Salford City but the East Londoners have a game in hand, and a win or draw at home to Eastleigh tomorrow night (Tuesday) would take them back to the summit. Dagenham & Redbridge also picked up a point, as they fought out a goalless draw with Barrow at the Chigwell Construction Stadium and edged closer to safety. The Daggers are now 10 points clear of the relegation zone in 18th place. In the National League South it wasn’t a good day for any of the division’s four Essex clubs. Chelmsford City fell to their second league defeat in a row, as they lost 3-1 away to St Albans City. the Clarets took a 42nd minute lead via a Chris Whelpdale header, but Moyo levelled for the hosts just before the break and added a second 3 minutes after the restart, before ex-Concord winger Khale Da Costa spotted City goalkeeper Nathan McDonald off his line and lobbed him from 20 yards to make it 3-1. To add to Chelmsford’s woes they had Billy Knott sent off 8 minutes from time, the former Bradford City man receiving a straight red card for a lunging foul on Bender. But Rod Stringer’s men remain in 4th place with 4 league games remaining. It was also a bad day at the office for Billericay Town, who suffered a 3-1 defeat at home to Hampton & Richmond and slipped out of the play-off slots with their 7th successive non-victory. Sotiriou and Bray put the Beavers 2-0 ahead in the first 16 minutes before Moses Emmanuel replied for the hosts on 73. But five minutes later Blues had goalkeeper Alan Julian sent off after receiving a second yellow card. With no replacement keeper on the bench Danny Waldren replaced him between the sticks, but he was unable to stop Joseph from sealing victory for the visitors with two minutes remaining. East Thurrock United suffered a blow in their quest to avoid relegation with a 3-0 defeat at play-off hopefuls Wealdstone, Green (2) and Mensah sealing victory for the home side. Rocks are in 21st place with 4 league games to go, and are currently 4 points from safety. Concord Rangers, another side still hoping to reach the play-offs will have to make a second lengthy trip to Cornwall before the end of the campaign, after their match at Truro City was abandoned with around 13 minutes remaining. Sam Ashford had put the Beach Boys in front on 28 minutes, and were still winning 1-0 when play had to be stopped due to a serious injury to Truro’s Michael Herve. Such was the seriousness of the injury that the ambulance service said the player was not to be moved, but as no ambulance had arrived by 6pm the game had to be abandoned.